JDC - Archives : A group of young children in a JDC supported children's home. Title A group of young children in a JDC supported children's home. 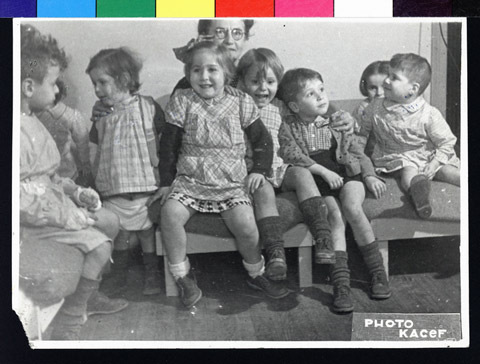 Description A group of young children seated with a caretaker in a children's home funded by Union des Juifs pour la Résistance et l'Entraide. Possibly the Maison Monheit (?). JDC worked in conjunction with many local organizations to provide for Jewish refugee children.